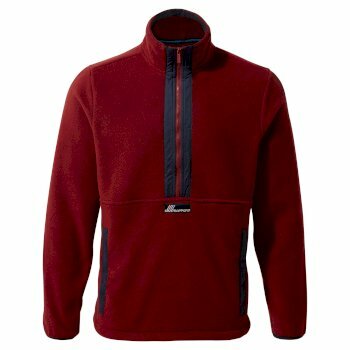 Whether you’re on a gentle walk in the country or a more adventurous stroll through the hills, men’s half-zip fleeces are the ideal addition to your outdoor wear to keep you warm and comfortable. 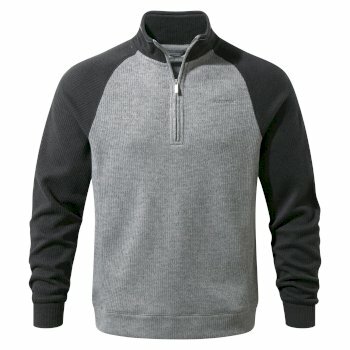 Made specifically for insulation purposes, our men’s half-zip fleece pullovers provide warmth through a 100% polyester inner lining, designed to be extra soft for comfort. Our men’s half-zip fleeces are also designed to be lightweight and easily foldable, so you can easily pack it with you on your next trek to ensure you’re prepared for whatever the weather throws at you. Our men's half-zip fleece pullovers feature elasticated bound cuffs and hem, providing an adjustable, well fitted microfleece for any expedition. 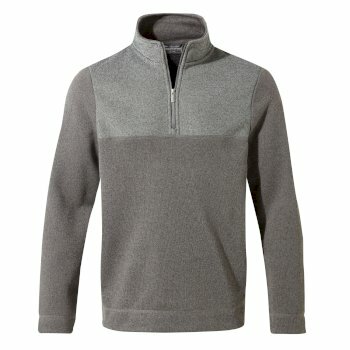 The half-zip also incorporates an inner zip guard to avoid irritation and provide extra comfort for your skin. 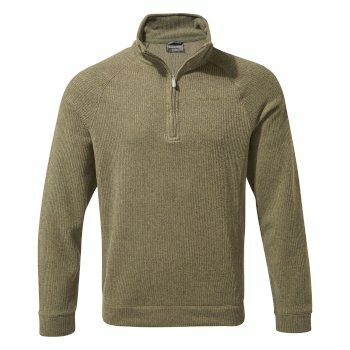 Our men’s half-zip pullovers are a light layer, easily packed away for when you’re on the move, but substantial enough to give you the extra insulation you need when the weather takes a turn. 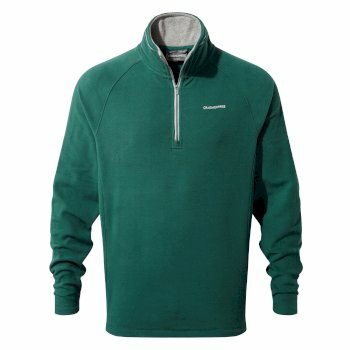 Our men’s half-zip fleeces are perfect for all weather types, for an extra layer on a coolsummer evening, or as an insulatedmid layer on those frosty morning strolls. 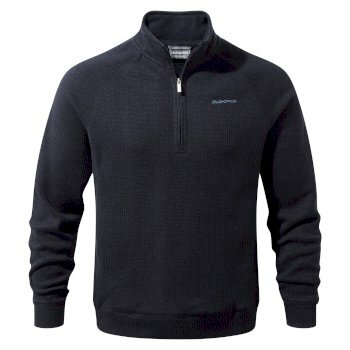 Their versatilityand comfort make them a favourite among walking enthusiasts and explorers of all calibres. 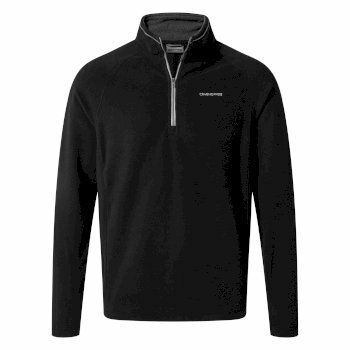 Our men’s half-zip fleeces are an ideal, stylish and practical addition to your outdoor wardrobe. 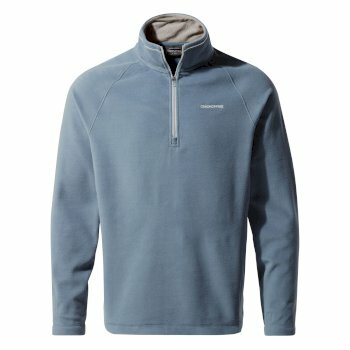 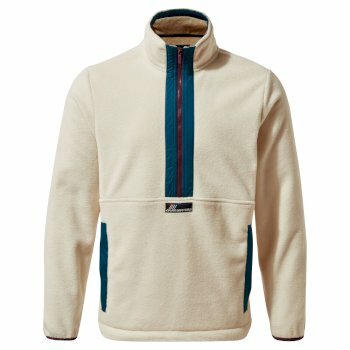 Our varied styles of men’s half-zip fleece jackets include insulating microfleece, ecru fleece, recycled fleece and more– all of which differ in their shape and design. Perfect for activities, adventures and mountain walks, our men’s half-zip fleece range gives you the choice in how you want to gear up to tackle your next journey, whether it’s up a mountain, through a forest or alongside a peaceful canal. 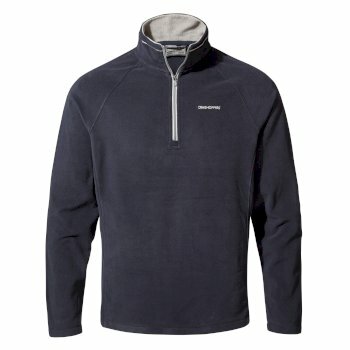 Browse our varied range of men's half-zip fleeces above and choose your perfect pullover today.